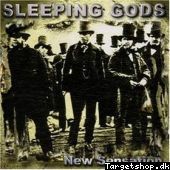 Sleeping Gods are an Goth-Metal Band from Kassel, Germany. Unfortunately, they don't exist anymore. The Sleepin Gods were: Tim Siebrecht (voc. guit), Markus Stephan (guit.) Stefan Rolf (guit. ), Björn Lüpke (bass) and Lars Pristil (drums).